Nippon Ichi Software has a talent for making people care about undesirable characters. It made a name for itself with series like Disgaea, where the heroes are always these villainous overlords from hellish places and the gameplay consists of complex, strategic endeavors where intensive grinding is a fact of life. 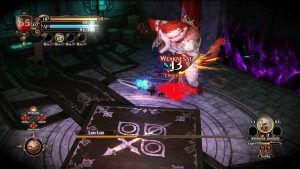 The Witch and the Hundred Knight series has always been an attempt to repeat that concept, only within a loot-heavy, action-RPG sphere. One of the original game’s problems was that the characters were too horrifying and villainous. 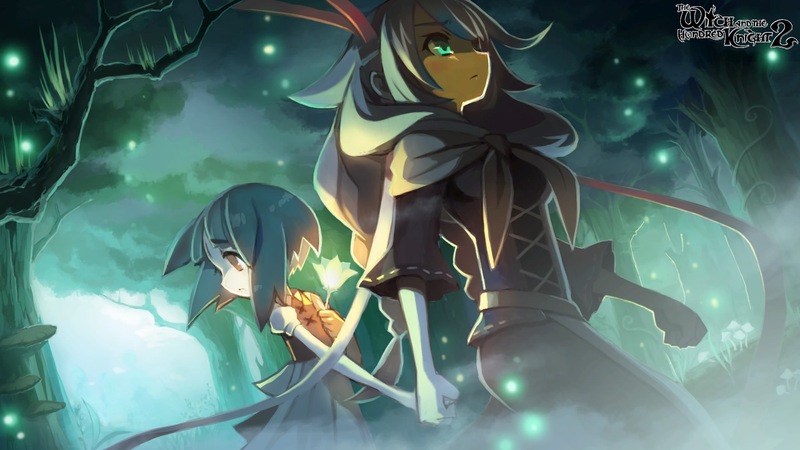 While some of the gameplay elements are tightened up in The Witch and the Hundred Knight 2, it unfortunately repeats the first game’s mistake of not giving us leads worth loving. 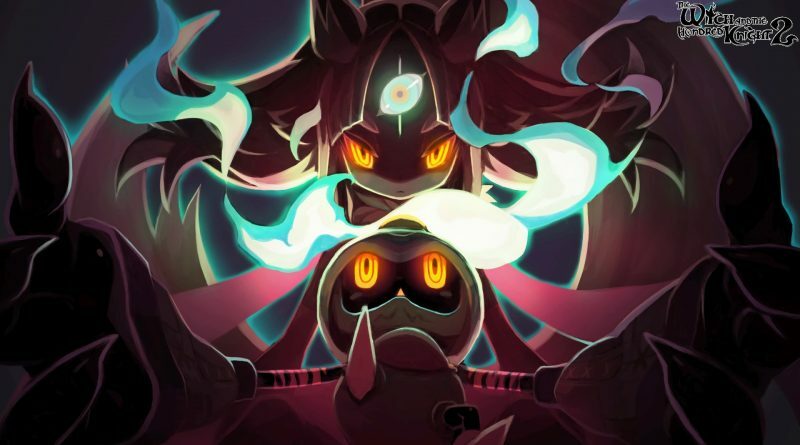 In the world of The Witch and the Hundred Knight 2, being a witch is a disease that involves a third eye opening on an infected woman’s forehead, a drastic shift in personality and unimaginable, destructive magical power. Amalie and her little sister, Milm, are orphans in a tiny town. Milm is infected with Hexensyndrome while searching for a gift for Amalie, resulting in their exile. Amalie joins the Weisse Ritter as a Holy Valkyrie who hunts down witches and their minions, while the organization attempts to save Milm. An operation leads to Milm’s “death” and the awakening of Chelka, her witch form. She turns her doll, Hundred Knight, into a minion and destroys the facility moments before Amalie arrives to grieve her sister. 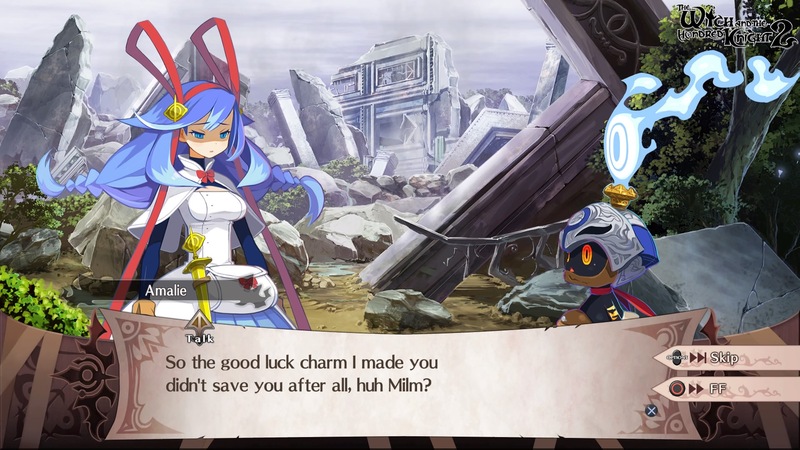 Seeing that Milm somehow still exists, Amalie places Chelka in an abandoned castle with the Hundred Knight and tries to find a way to do her job and perhaps save her. Meanwhile, Chelka wants to awaken to her full power. In the original game, it took a while before the abrasive antihero Metallia became someone we would want to associate with, let alone help succeed; by immediately setting Amalie and Milm up as pitiable, they gain sympathy and an instant “out” for their actions. It is easy to see why The Witch and the Hundred Knight 2 begins the way that it does. In the original game, it took a while before the abrasive antihero Metallia became someone we would want to associate with, let alone help succeed; by immediately setting Amalie and Milm up as pitiable, they gain sympathy and an instant “out” for their actions. This is compounded by us watching Milm die on an operating table before she is resurrected as the ridiculously dressed and malicious witch Chelka. A character who, by the way, has what I think is the worst outfit in the history games. Because she is nine. A nine-year-old character does not need to wear that kind of outfit. But while NIS attempts to pull on heartstrings with such ploys, the execution feels disingenuous and forced. Most of the characters who are not Amalie, Milm or the Hundred Knight tend to be despicable or disposable. (Though, in the case of Huninnmuginn, a crow butler, we have a character who seems to be genuinely kind, but plays on drag queen stereotypes.) Milm is cute, but she has little development beyond being prone to balefully calling Amalie her “sissy” and saying she is scared. I did not find myself wanting to save her. I only felt compassion for Amalie, a young woman in a bad situation who just wants to do her duty and protect the only family she has left. She and the Hundred Knight, who often is forced to follow orders even when players choose to have him assert himself and rebel against certain actions, tend to come across as the only sympathetic people present. 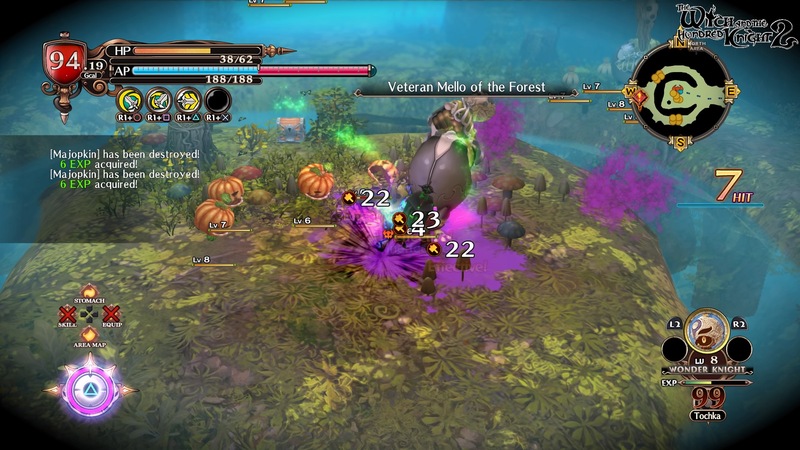 Fortunately, most of your time in The Witch and the Hundred Knight 2 is spent roaming around rather bland, repetitive spaces that seem taken directly from The Witch and the Hundred Knight, fighting enemies that are also copies of foes from the first game. At its core, this is an action-RPG. 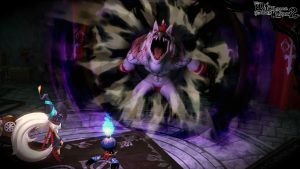 It utilizes hack-and-slash gameplay that often feels rudimentary, due to the lack of any sort of targeting system, and requires you to equip five different weapons to pull off full combos. All weapons deal blunt, magic or slash damage, with enemies being weak and strong against different types. There are some systems that mitigate the pain of dealing with the imprecise targeting, occasionally overwhelming hordes and tendency of some foes to blend in with backgrounds. The Hundred Knight has six different facets, each with their own strengths and skills. 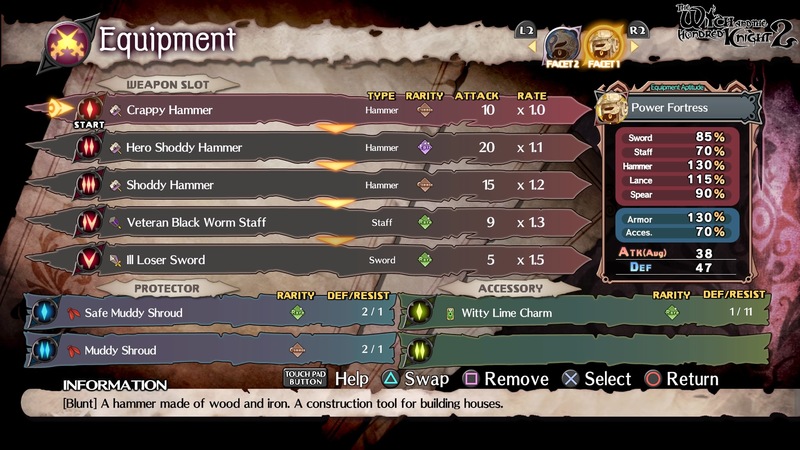 Since each has its own equipment set and can be swapped with a tap of a button, it makes it easier to deal with enemy weaknesses. However, this does mean The Witch and the Hundred Knight 2 removes any capability to customize your avatar to your liking. You can also activate the Third Eye’s power to temporarily boost your stats. All of these help and make battles a little less frustrating. The most handy are the Battle Tochkas, 99 other small soldiers that fall into nine categories and can be summoned to aid you. These are great, since enemies are nearly always encountered in groups. The Witch and the Hundred Knight 2 borrows from rogue-likes often, but softens the blows these difficult genres often deal. The Witch and the Hundred Knight 2 borrows from rogue-likes often, but softens the blows these difficult genres often deal. The GigaCalories system incentivizes keeping your stomach full, as your stats drastically drop if they run out! But, you can fill up by chaining together a long enough combo and hoping you are facing an enemy when you get a prompt to cannibalize foes with Depletura, using items, eating a certain bird enemy at checkpoints or choosing to digest some of the treasures you have picked up and are storing in your stomach. Starving never feels like a threat. If you fall in battle, items in your stomach can be dropped and lost forever! Except successfully returning to base via a checkpoint or completed mission lets you access and use anything acquired, and these warping opportunities appear rather often. I feel like the biggest problem with The Witch and the Hundred Knight 2 comes from a lack of motivation. I touched upon this earlier, when I noted how it can rely on manipulation to try and make you care about characters. But this comes up in other situations too. This is a loot-driven adventure, but it does not have the allure of titles like Diablo where the goods are really great. The appeal of exploring new areas should be there, but it feels like we have seen plenty of these places before and some sections really drag on. Grinding can be great fun in some games, but so many opponents are so similar and unremarkable. 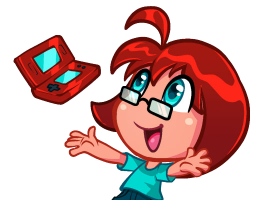 Self Assertion can eventually lead you to one of multiple endings, but what kind of punch can this pack when it takes time before your decisions bear fruit and some characters do not strike chords? The Witch and the Hundred Knight 2 is a game that does function well, and some people who enjoy NIS America’s line of antihero-led adventures may find themselves enjoying it. There are certainly some interesting systems in place, as Battle Tochkas, Facets and the Third Eye can make some of the more challenging boss battles or fights against large groups feel like skillful altercations. I also found myself really liking both Hundred Knight and Amalie. The problem is, it is not good at incentivizing gameplay. I should want to like and save Milm, but I can not due to Chelka’s appearance and Milm’s paper doll personality. The loot was not enough to make grinding attactive, and the world does not feel worth exploring.